Microsoft Office is a highly popular suite of programs for a reason...but it’s pricey. 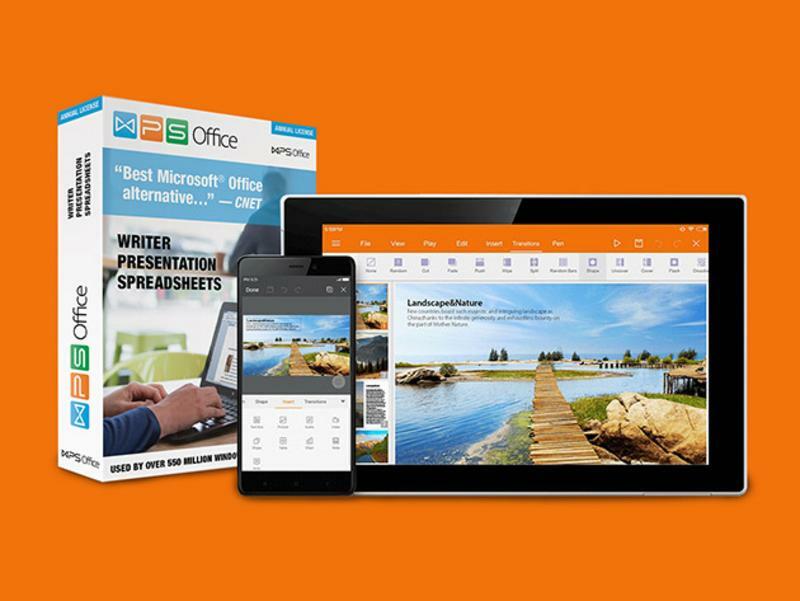 For a more cost-effective alternative, get the WPS Office 2016 Business Edition instead — and take advantage of word processing and spreadsheet programs that won’t leave your wallet hurting. This highly-rated suite of programs allows you to view, edit, and create almost any document type. It’s loaded with hundreds of free templates to streamline your work, and provides hundreds of built-in formulas, pivot tables, and more for stellar spreadsheets. Plus, WPS Office 2016 comes with a built-in PDF reader, so you can easily send, save, and read PDFs in one streamlined interface. For a limited time, you can save 77% off the retail price and get a year of WPS Office 2016 Business Edition for only $14 AUD [$9.99 USD], or save 50% off retail and get a lifetime for $55 AUD [$39.99 USD].